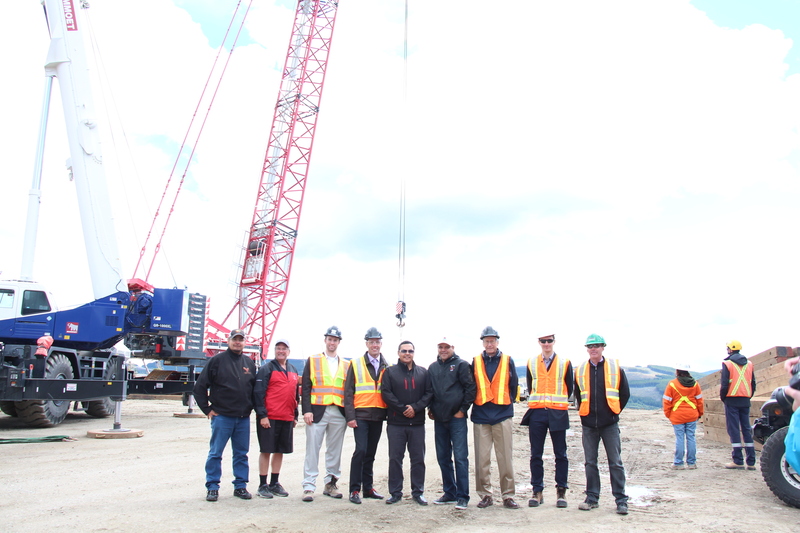 Okanagan Wind partners in front of the Terex CC3800 crane, which will lift the 120-tonne turbine blade unit to the top of the 100-metre tower. We were delighted to celebrate the delivery of the first turbine blades last week with our local partners. Over the last few days wind turbines have started arriving at both the Pennask and Shinish sites, signalling the next step in construction. 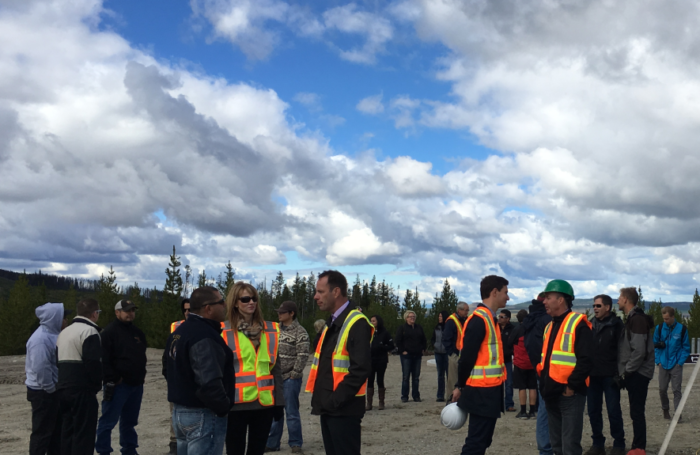 We also welcomed Councillor Peter Schierbeck of Peachland, Councillor Ryan Donn from Kelowna and Gerry MacDougall from the Ministry of Forests, Lands and Natural Resources Operations. 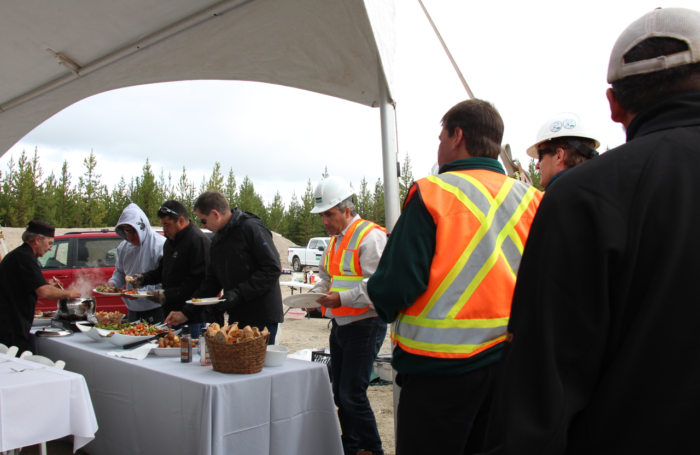 On a windy day that showcased the region’s strong natural energy resource, we were happy to celebrate the tremendous effort, work and local collaboration that has gone into these facilities. 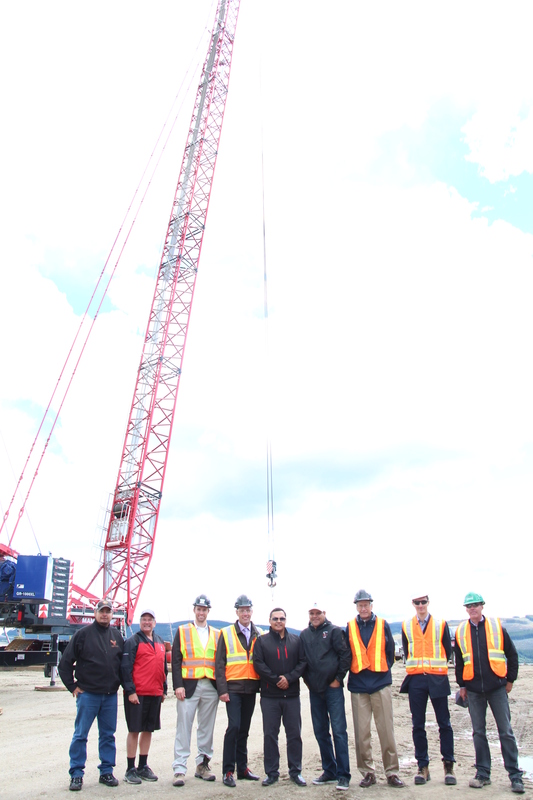 Much of the work to prepare the sites and commission the turbines is being carried out by local firms, and we expect over $20 million of investment in the local community this year during construction. We look forward to being a part of the community for decades to come.